ART BIKERS: More Highlights of 2018 Training! Cylinder Forest was a pop up event for babies, toddlers and families at the Khyber Centre of the Arts as part of the experimental music and art festival Obey Convention. Wonder’neath was invited to participate in a fun annual event called O’Baby and Art Bikers coordinators Melissa and Heather responded with an idea called Cylinder Forest: a play space using only tubes and cylinders. 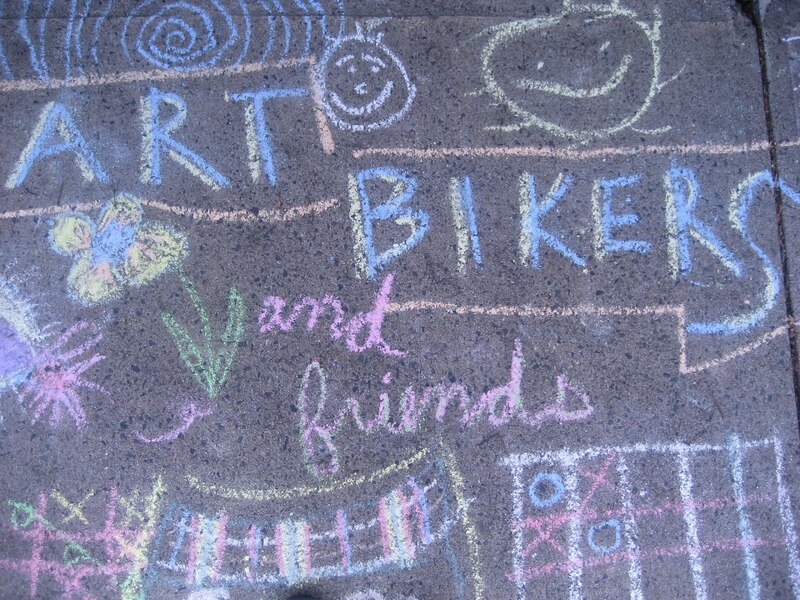 Together with the Art Bikers, they spent time transforming the Khyber space on Barrington Street for more than 80 participants of all ages. There were whisper tubes, test tube babies about to hatch, shadow puppets and even some cylinder creatures that loved adventure but were very shy. The cylinder creatures needed a friend to help them discover the play spaces of Cylinder Forest! Did you know that as part of their training Art Bikers learn about child development and what to anticipate when working with children of different ages? After spending several hours with young children and their families in the Cylinder Forest, Art Bikers made a list of questions and observations to discuss during the workshop!